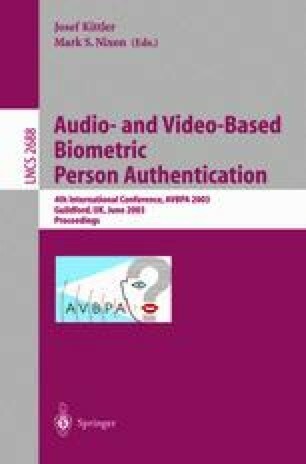 Authentication of individuals is rapidly becoming an important issue. The authors have previously proposed a pen-input online signature verification algorithm. The algorithm considers writer’s signature as a trajectory of pen-position, pen-pressure and peninclination which evolves over time, so that it is dynamic and biometric. In our previous work, genuine signatures were separated from forgery signatures in a linear manner. This paper proposes a new algorithm which performs nonlinear separation using Bayesian MCMC (Markov Chain Monte Carlo). A preliminary experiment is performed on a database consisting of 1852 genuine signatures and 3170 skilled 1 forgery signatures from fourteen individuals. FRR 0.81% and FAR 0.87% are achieved. Since no fine tuning was done, this preliminary result looks very promising. There are three types of forgery signature - Random forgery, Simple forgery and Skilled forgery. A forgery is called Random when forger has no access to genuine signature. A forgery is called Simple when forger knows only the name of the person who write genuine signature. A forgery is called Skilled when forger can view and train genuine signature.